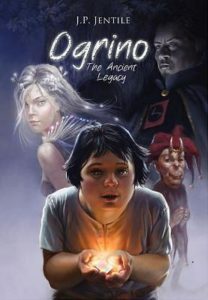 After losing his family to human attack, a young amnesic ogre named OGRINO grows up in a circus until one day he discovers his past, alluding to his true identity. Meanwhile, a terrible human army seeks to rank, classify and destroy all those creatures of the Legendary World, which threatens Ogrino’s very life. Ogrino bands together with friends and foes found in wonderfully magical worlds to fight and end the human threat and return the world to peace as it was once before.